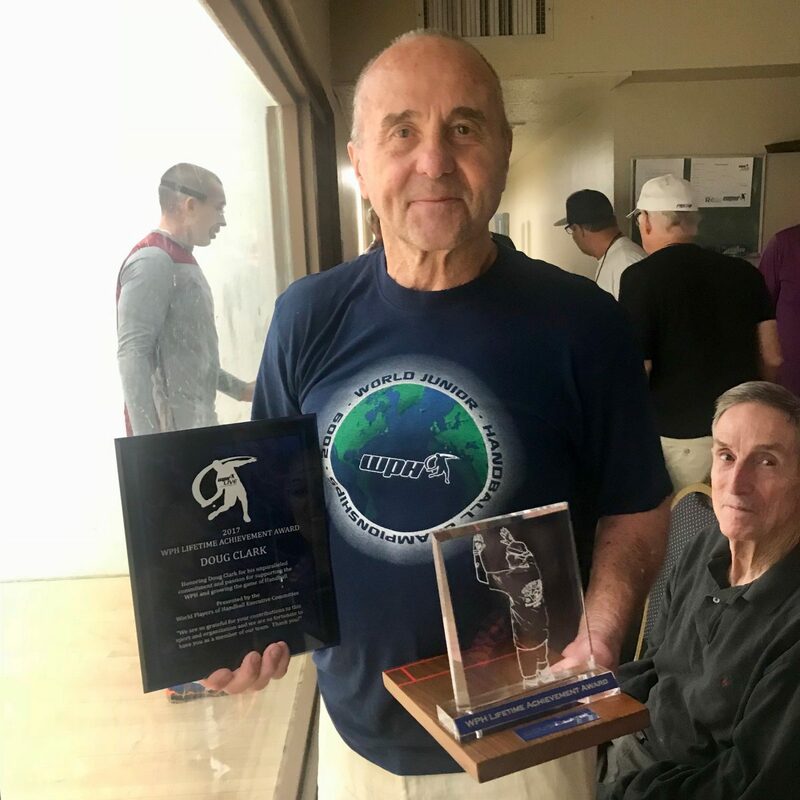 Tucson, AZ, WPH Press, 11/12/17- Surrounded by his friends, family, and fellow WPH board members, WPH board of directors member and ambassador Doug Clark was honored by the WPH executive committee for his outstanding contributions to the game of handball and the WPH with the WPH Lifetime Achievement Award. Mr. Clark is one of the WPH’s original board members and has been one of the WPH’s greatest supporters since the WPH reorganized and relocated to Tucson in 2009. Doug’s generosity, enthusiasm, and passion for growing the sport is virtually unmatched and Doug is an incredibly deserving recipient of the WPH Lifetime Achievement Award. Thank you to Doug and we look forward to many more great years of growing the sport together.